The easiest challenge ever for the most complicated invisible illness. 12th May is International Fibromyalgia Awareness Day. Have you and your friends heard about Fibromyalgia? Do you know that it is incurable and invisible? Do you know what exactly it is? Fibromyalgia warriors across the world are suffering every minute. The 24x7 torture by the illness is one thing that we are living with. Problems in relationships and jobs are other issues. But what hurts most is that nobody believes we are sick. We just don’t look sick and people just don’t know what Fibromyalgia is all about. Read this link: What is Fibromyalgia? No, we don’t need those big donations, after all, there’s no big surgery required to cure us. All we need is a little trust when we say we are sick which is only possible when there is clear understanding of the condition. Understanding by the people that we are not lazy but we are unable to do the simplest of tasks. Understanding of this complicated illness so that no one goes undiagnosed. Understanding of this illness by one and all so that fibromyalgia patients need not struggle to explain the umpteen symptoms to anyone who asks what are they suffering from. No big company or celebrity or brand has yet done anything big to help us raise awareness. So, we have taken it on ourselves to do so. Will you support us in raising awareness about Fibromyalgia across the world? 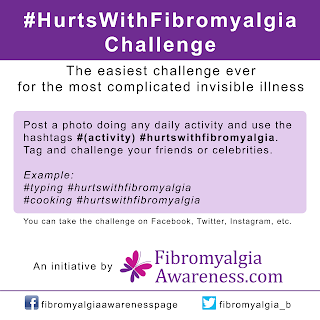 Please take this simplest ever challenge that aims only to make the world understand what fibromyalgia is all about and what are the challenges faced by the patients. No donation involved. We just want everyone to understand. The point? Every task, big or small, is very painful for most fibromyalgia warriors. So whether it is being able to move out of the bed in the morning or preparing a cup of tea or typing all the words you have read in this post, it is quite painful. Basically, everything you do in a day is painful for fibromyalgia patients. Yes, even sitting idle for a while! For a quick reference, we have jotted down a list of activities / things that hurt with Fibromyalgia on this link. So, post a photo of yourself or your friends doing any activity. It’s as simple as that! 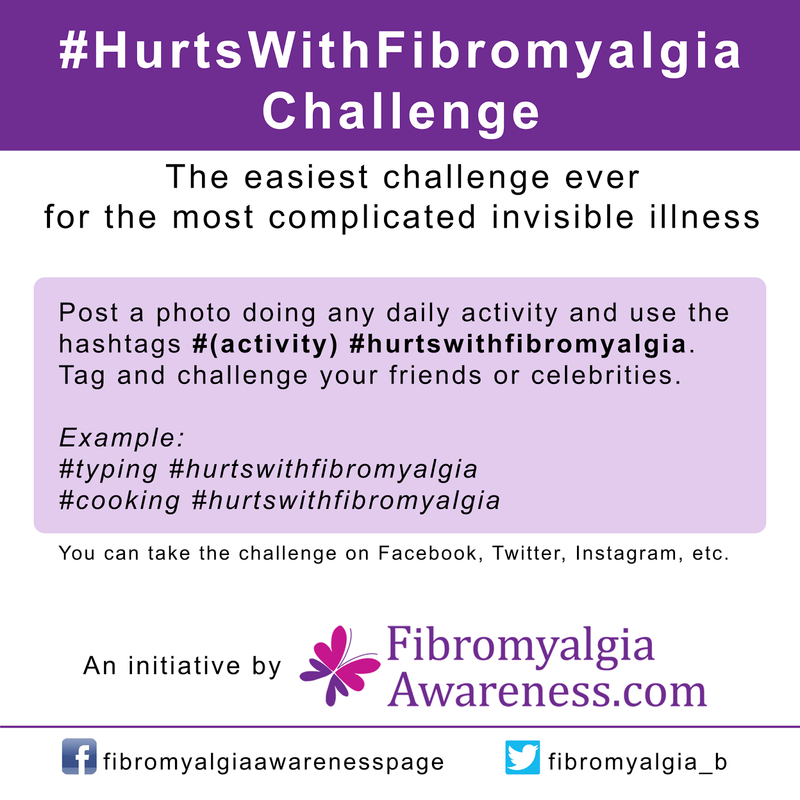 Remember to use the hashtags #(activity) #hurtswithfibromyalgia. Tag and challenge your friends or celebrities. 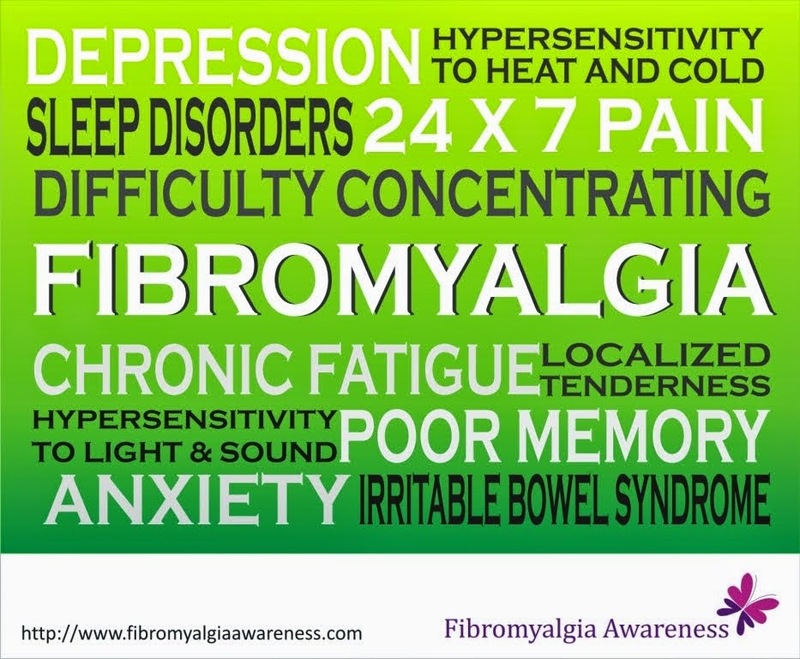 We hope you will help us raise awareness about Fibromylagia, an invisible, incurable illness.